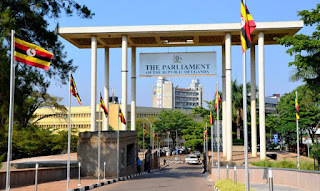 During the debate, majority of the MPs based their submissions on the mobile money tax ignoring the social media tax, hoping that the latter was inconsequential until it was implemented on July 1. Below is how some MPs debated basing on the record in parliament. Monicah Amoding (NRM): I rise to oppose the proposed tax of one per cent on mobile money transactions in Uganda mainly because I believe that this tax is going to affect the poor of the poorest and reduce financial inclusion, which we are seeking as a country, for those particular categories of people. Joshua Anywarch (Indp): Since Excise Duty is levied on a good as soon as it becomes existent in the country, then we cannot actually levy a tax on mobile money transactions. Even over the top transactions you are talking about, where anyone can choose to make a call on WhatsApp - in fact, by the time airtime came into existence, it had already attracted Excise Duty. I think this “over the top services” should be deleted in its entirety in this amendment. Anna Nankabirwa (NRM): The world over, people have problems with the payment of tax and yet they need development. Before we pass the budget, we must pass tax Bills as an obligation of Parliament. The expenditure needs to balance with the revenue. We need to widen our tax base as Uganda. Tax sometimes is a gain – I support the one per cent levy on mobile money. It is a service gain and I will not be intimidated by anyone. I think we need to pronounce ourselves and speak the truth. One per cent levy is a service gain. If I have to go for a burial and I have to put fuel worth Shs 200,000 into my car, I would just send the money. Therefore, I will not move and save time. Cosmas Elotu (NRM): Way back, we had other taxes like Graduated Tax, which at the end of it brought everybody on board, including the poor people back home. If I may say, a one percent levy on mobile money will not be detrimental across the board. If you send Shs 1,000 and you pay one per cent, I think that is a fair contribution. If you sent Shs1 million and you pay one percent, it is also a fair contribution on the basis of your income. I stand with the report of the committee and strongly recommend that that tax be stayed in our budget. Florence Namayanja (DP): I stand to oppose the one per cent transaction tax on mobile money. Recently, we handled compensation by Rural Electrification Agency (REA) on wayleaves and the people who were assessed for their crops such as cassava and beans were compensated with very little money. We were handling the audit queries because money was being deposited on staff accounts to go and pay them. Patrick Nsamba (NRM): I think we should, as Parliament, not be moved with the desire simply to expand the tax base, without knowing which part of the population we are touching. The honourable minister is aware that on the mobile money transaction, 61 per cent send the very little money, below Shs 45,000. That tells you that once you come up with this tax, it is not going to the rich. It is going to affect the poor. Santa Alum (UPC): On the issue of one per cent on mobile money transaction; mobile money takes services closer to the people, more so the poor people. These poor people also pay taxes when they buy airtime. They also pay tax on the voice calls. When you now put taxes on mobile money that means that you are taxing them very many times on the same product when they are using mobile phones. In the villages, we do not have the banking services. Mobile money is the closest thing to banking our people in the rural areas have. Abraham Byandala (NRM): Government does not have a money minting machine but generates money through taxes. At the end of the day, every service needs money. If we don’t pay taxes, we are reducing on the services to provide. Gershom Sizomu (NRM) If you levy a one per cent tax, it will limit the flow of money from the rich to the poor thereby increasing income inequality. This tax is going to make the poor Ugandans poorer. The Shs 200 is going to compound to billions of money; so, a tax that targets poor people should not be entertained. I suggest that it should be abandoned. Oguzu Lee (FDC) : I wanted to inform the Member that Uganda signed to a principle known as net neutrality. There is an understanding that Over the Top Services (OTTs) must not be treated differently by any telecom communications company. 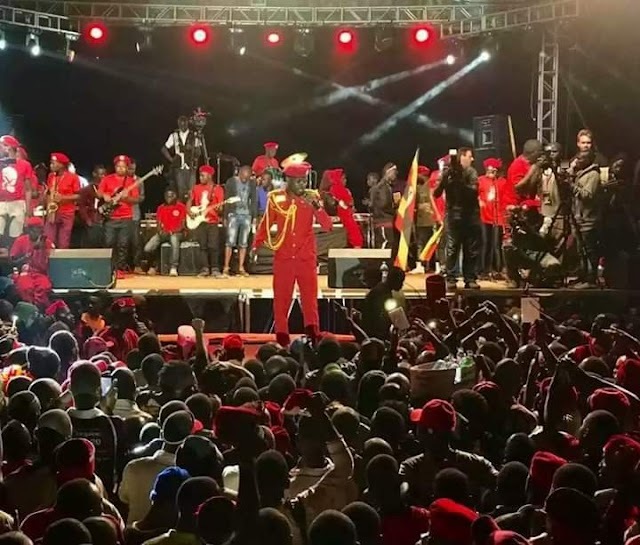 Uganda is a signatory to that –(Interjections) – We can, at an opportune time. However, that should be investigated. Uganda has signed to that and it requires that no OTT must be treated differently. Silas Aogon (Indp): It is not good for us to stifle information flow. Secondly, it is also true that when we buy bundles and airtime, we already pay tax; so in a way, we need to do a study. The minister should crosscheck and find out. Most likely, you will discover that we are going to impose double taxation, which is not acceptable. Annet Nyekecho (INDP) : We know that OTT services are mostly consumed by the young people. They are the ones you find using WhatsApp and Facebook. These are graduates who do not have a lot of money. Before you access these services, you have to load airtime, which is again translated into internet bundles of whatever amount you want. Already, I assume you will have paid some tax. So, isn’t this double taxation? Odonga Otto (FDC): Research, which has been done by a university student, shows that people use WhatsApp only during weekdays and in many cases, during working hours. You walk to every office, one after another, and the staff are even stealing office time to enjoy private chats on WhatsApp… Personally, I do not mind because I need WhatsApp. It is a tax, which is targeting the elites - those who are ostentatious. It does not affect the ordinary man in Pader. That is the information I wanted to give. Bright Rwamirama (NRM): Mr Chairperson, I would like to inform you that in Africa, in terms of the cost of mobile telephone calls and data, Uganda is still the lowest. I was in Burundi where if you make a call, it costs three times as much as here. I was in Mozambique where a call costs four times as much as in Uganda (Interjection)– I am not known for telling lies; it can be verified. Mr Chairperson, this is an area where we can generate money to cover some of these deficits. Therefore, people should be encouraged to approve this tax because it is necessary.